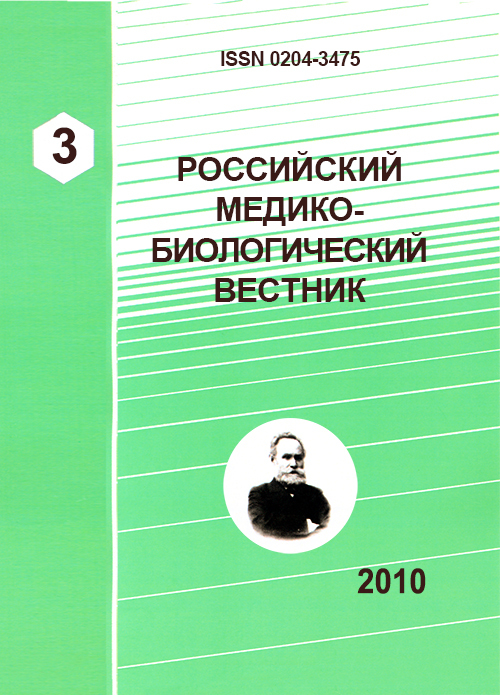 Authors: DMITRIEVA L.A., GUREVICH K.G., TEBLOEVATHE L.M., Dmitrieva L.A., Gurevich K.G., Tebloeva L.M. Throughout the 20th century, an understanding of the role of causative bacteria and the susceptible host in the initiation and progression of periodontal disease(s) has emerged from the research efforts of scientists and clinicians worldwide. The discovery of antibiotics, beginning with sulfanilamide, penicillin, and streptomycin, led to additional strategies for managing periodontal disease. With the discovery of the mechanism of action of aspirin, scientists began to develop new strategies for treating diseases that focused on controlling inflammation. Thus, host-modulating therapies emerged for the management of periodontal disease through the control of inflammation. Antibiotics, periodontal disease, risk factors prevalence. Van Dyke TE, Serhan CN. Resolution of inflammation: A new paradigm for the pathogenesis of periodontal diseases. J Dent Res 2003;82:82-90. 2. Lindhe J, Haffajee AD, Socransky SS. Progression of periodontal disease in adult subjects in the absence of periodontal therapy. J Clin Periodontol 1983 3. Keyes PH, Jordan HV. Periodontal lesions in the Syrian hamster. III. Findings related to an infectious and transmissible component. Arch Oral Biol 1964;32:377-400 4. Kolenbrander PE. Oral microbial communities: Biofilms, interactions, and genetic systems. Annu Rev Microbiol 2000;54:413-437. 5. Socransky SS, Haffajee AD. Dental biofilms: Difficult therapeutic targets. Periodontol 2000 2002;28:12-55. 6. Yan C, Boyd DD. Regulation of matrix metalloproteinase gene expression. J Cell Physiol 2007;211:19-26. 7. Li X, Kolltveit KM, Tronstad L, Olsen I. Systemic diseases caused by oral infection. Clin Microbiol Rev 2000;13:547-558. 8. Pallasch TJ, Wahl MJ. Focal infection: New age or ancient history. Endodontic Topics 2003;4:32-45. 9. Socransky SS, Haffajee AD. Evidence of bacterial etiology: A historical perspective. Periodontol 2000 1994;5:7-25. 10. Williams RC, Paquette DW. Periodontal disease as a risk for systemic disease. In: Lindhe J, Karring T, Lang NP, eds. Clinical Periodontology and Implant Dentistry, 5th ed. Copenhagen: Wiley-Blackwell; 2008:475-479. 11. Barnett MJ. The oral-systemic disease connection. An update for the practicing dentist. J Am Dent Assoc 2006;137:5S-6S. 12. Paquette DW, Williams RC. Modulation of host inflammatory mediators as a treatment strategy for periodontal diseases. Periodontol 2000 2000;24:239-252. 13. Reddy MS, Geurs NC, Gunsolley JC. Periodontal host modulation with antiproteinase, anti-inflammatory, and bone-sparing agents. A systematic review. Ann Periodontol 2003;8:12-37. 14. Reddy MS, Geurs NC, Gunsolley JC. Periodontal host modulation with antiproteinase, anti-inflammatory, and bone-sparing agents. A systematic review. Ann Periodontol 2003;8:12-37. 15. Salvi GE, Lang NP. Host response modulation in the management of periodontal diseases. J Clin Periodontol 2005;32(Suppl. 6):108-129. 16. Van Dyke TE, Serhan CN. Resolution of inflammation: A new paradigm for the pathogenesis of periodontal diseases. J Dent Res 2003;82:82-90. Copyright (c) 2010 DMITRIEVA L.A., GUREVICH K.G., TEBLOEVATHE L.M., Dmitrieva L.A., Gurevich K.G., Tebloeva L.M.